“one of those barristers who actually seems to care about what the outcome is and works really hard to get you where you need to be”. Rob is recommended as a Band 1 Junior in in his main practice areas. In 2017 he was awarded Competition Junior of the Year at the Chambers UK Bar Awards. 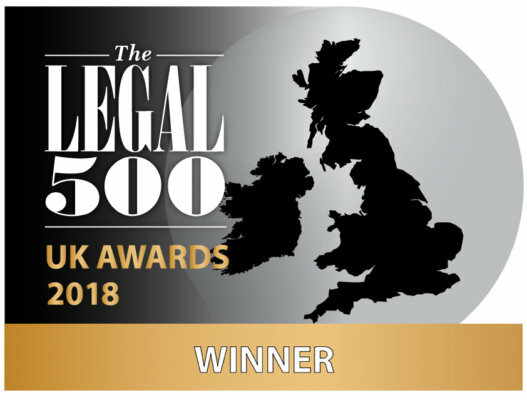 In 2018 he has been nominated for the same award at the Legal 500 UK Awards. Since 2015, Rob has been Standing Counsel to the Competition and Markets Authority. He is also a member of the Attorney General’s A Panel of Junior Counsel to the Crown. Rob’s work is principally divided between the High Court and the Competition Appeal Tribunal, and he appears frequently in the appellate courts. 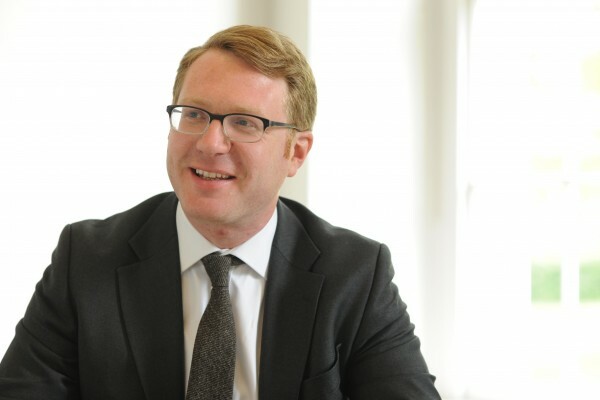 Rob has appeared in many of the leading cases in competition and public procurement law over the last decade. Before joining Monckton Chambers, Rob worked as an in-house advocate at a large City law firm. His experience has given him a particular insight into the needs of both solicitor and lay clients at all stages of the litigation process. As a result, Rob places particular importance on being both user friendly and accessible. 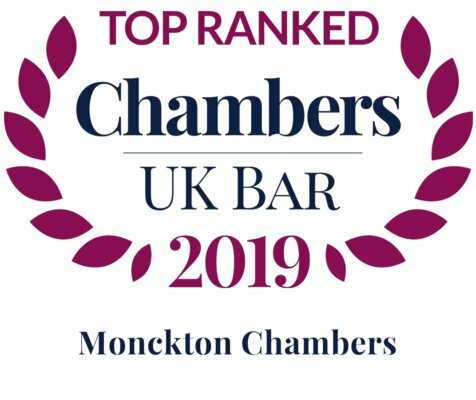 Rob is recommended as a leading junior in competition law in both the Legal 500 and Chambers and Partners. 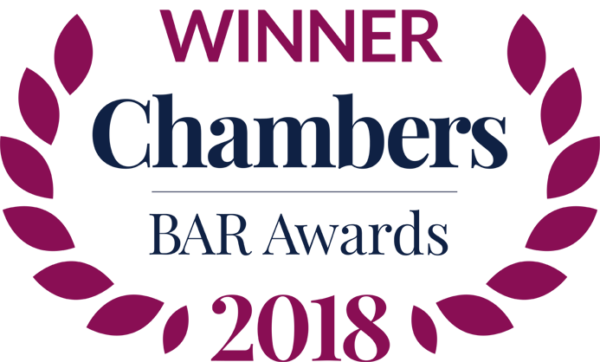 In 2017, Rob was awarded Competition Junior of the Year at the Chambers UK Bar Awards. Since 2015, Rob has been Standing Counsel to the Competition and Markets Authority. He has been involved in many of the leading competition law cases over the last decade, spanning the full range of competition law work. Trucks (acting for DAF in individual damages claims and proposed class action). Tesco Stores Ltd and Ors v MasterCard, Tesco Stores Ltd and Ors v Visa (standalone damages claims relating to interchange fees, Commercial Court). iiyama v Schott and Ors (follow-on damages claims relating to Cathode Ray Tube Glass, Chancery Division; acted for Schott on successful strike out application). Deutsche Bahn AG and others v Morgan Crucible v Others (follow-on damages claim arising from the carbon cartel, Competition Appeal Tribunal, Court of Appeal 2012 and 2013, Supreme Court 2014). WH Newson v IMI Plc and Ors (damages claims and contribution proceedings arising from copper tubes and fittings cartels; Chancery Division, Court of Appeal 2013 and 2016). Sony v AUO Optronics and Ors (damages claim arising from LCD cartel, Chancery Division). Enron Coal Service Limited v EWS Railway Limited (damages action arising from price discrimination in rail services; first “follow-on” claim to reach trial in Competition Appeal Tribunal). Balmoral Tanks v CMA (successfully defending the CMA’s information exchange infringement decision). Acting for the OFT in the Tobacco appeals. OFT investigation concerning Hotel Online Bookings. OFT investigation concerning Gaviscon products (Reckitt Benckiser). OFT investigation concerning loans for professional services (RBS / Barclays). OFT investigation in relation to construction bid rigging. Ryanair v CMA/Competition Commission (judicial review of final decision and material change of circumstance decision; Competition Appeal Tribunal 2014 and 2015; Court of Appeal 2015). SCOP v CMA, Groupe Eurotunnel v Competition Commission (judicial review concerning merger jurisdiction; Competition Appeal Tribunal 2013 and 2014, Court of Appeal 2015). Akzo Nobel NV v Competition Commission (judicial review of merger decision; Competition Appeal Tribunal; Court of Appeal 2014). 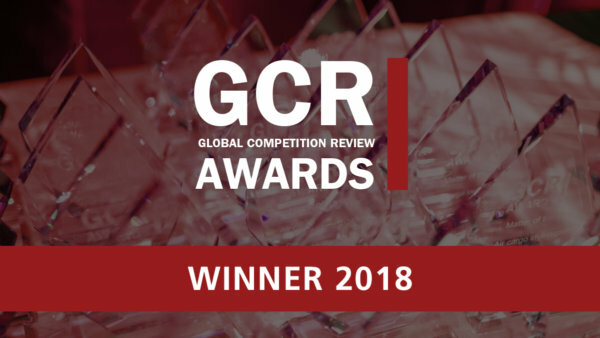 Sky v Competition Commission; Virgin Media v Competition Commission (judicial review on competition and media plurality issues; Court of Appeal 2010). CTS Eventim v Competition Commission (judicial review of merger decision). Private Healthcare (main investigation and remittal). HCA v CMA; AXA v CMA; FIPO v CMA (judicial review of Private Healthcare final report). Lafarge Tarmac v Competition Commission (judicial review of Aggregates, Cement and RMX final report). BMI and Ors v Competition Commission (judicial review of data room arrangements in Private Healthcare market investigation). Advised on Pay TV Movies investigation. Rob is recommended as a Band 1 leading junior for Public Procurement Law. He has been described as “a standout junior in high demand for the most high-profile challenges”, “technically superb” and “very user friendly”. Rob advises public authorities, utilities and contractors on a variety of contentious and non-contentious matters concerning both the public sector and utilities rules. He has taught public procurement law at Kings College London. NATS v Gatwick Airport Ltd (procurement of air traffic control contract). ABP v MoD (Marchwood port concession; acted for successful bidder SGL). Grifols v NHSBT (procurement of blood testing equipment). Pearson Driving Assessments Limited v Minister for Cabinet Office (acted for successful bidder LearnDirect). BY Development Ltd v Covent Garden Market Authority (acted for successful bidder). Mouchel Limited v City of Westminster (claim for damages arising from procurement of parking and related services). Baxter v Department of Health (claim for breach of confidence). FWA West vs LHA-ASRA (claim relating to termination of a process). Montpellier Estates Limited v Leeds City Council (claim relating to the procurement of new Leeds Arena). Partenaire Limited v Department for Finance and Personnel (procurement concerning the management and refurbishment of the office estate of the Northern Ireland Civil Service). Rob has a significant experience in relation to telecoms regulation. He has acted in relation to numerous appeals to the CAT and CC in relation to price control and other matters, and advised on a number of Ofcom’s market reviews. Three/O2 merger (acting for the UK in the General Court proceedings brought by CK Telecoms). Fixed Access Market Review and Charge Controls, Wholesale Broadband Access Market Review and Charge Control 2014. BT v Ofcom; Sky and Talk Talk v Ofcom (appeals against LLU and WLR Charge Control decision, 2012). BT v Ofcom (appeal against WBA Charge Control decision concerning BT’s pensions deficient repair payments). Everything Everywhere v Ofcom (appeal to CAT concerning Ofcom’s decision on a dispute involving Stour Marine network). Carphone Warehouse v Ofcom (appeals against LLU and WLR Charge Control, 2009). T Mobile and O2 v Ofcom (Administrative Court proceedings concerning auction of 2.6GHz band of spectrum). CMA v viagogo AG (proceedings to enforce UK and EU consumer protection legislation in the secondary ticketing sector). E.ON UK Plc v Gas and Electricity Markets Association (Competition Commission decision on the first Energy Code Appeal under the Energy Act 2004). Advising an international bank in relation to the OFT’s inquiry into unfair terms in credit card agreements (default fees). Rob has a first class law degree and a postgraduate BCL degree from University College, Oxford. On graduating, he worked as a research assistant to the Law Commission for two years, following which he was awarded a Jules Thorn Scholarship by Middle Temple. In 2000, Rob was called to the Bar and started his career at Keating Chambers. After a number of years in practice, he joined Denton Wilde Sapte’s Advocacy Group, the first and longest established “in-house chambers” in the City. He joined Monckton Chambers in 2006. Rob has taught public procurement law at Kings College London with Michael Bowsher QC. He has previously been a tutor in law at University College, London. In 2002, Rob was the judicial assistant to Lord Phillips MR (as he then was). Rob is a contributor to Bellamy and Child. Rob is a member of the Bar European Group, ALBA and the Procurement Lawyer’s Association.